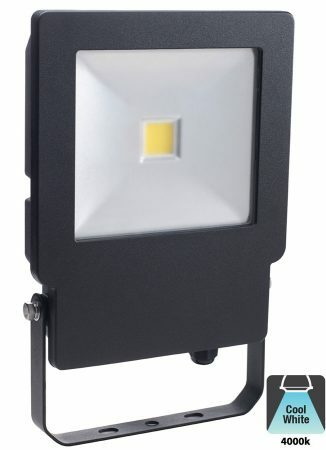 This Bell Skyline 50w LED outdoor security floodlight in black is rated IP65 and features a super-slimline design. Wall bracket and aluminium body finished in black, with flat clear lens, fitted with cool white (4000k) Bridgelux COB LED’s that produce 4000 lumens. Fitted with a fully encapsulated IP65 rated TUV certified driver and supplied with manufacturers five-year warranty.